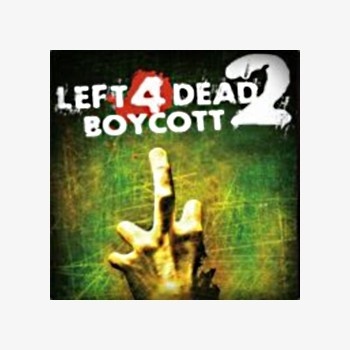 With mission accomplished and nothing left to do or say, the Left 4 Dead 2 Boycott group is calling it a day. The Left 4 Dead 2 Boycott group was formed in June in response to Valve's announcement that a sequel to the hit Left 4 Dead was already underway. The founders were unhappy at the prospect of a sequel coming so quickly, accusing Valve of turning its back on the original game, fracturing the community and rushing to crank out a follow-up that would probably be sub-standard as a result. Not everyone was sympathetic to the group's aims, however; many observers called them "whiners" and worse, and claimed they were simply out to get something for nothing. Valve, however, appeared to take them seriously, first attempting to explain why L4D2 is both necessary and desirable and then, when all else failed, flying two of the boycott founders to its underground hive headquarters to have a chat with the team and see the new game in action. And now, more than four months after it began, the L4D2 Boycotters are apparently satisfied with what they've seen. Agent of Chaos and Walking_Target, the Men Who Went to Valve, say they've accomplished what they set out to do and have thus decided to pull the plug. "We have accomplished everything we can on our manifesto," wrote Agent of Chaos in what will presumably be the concluding announcement for the L4D2 Boycott Steam Community. "We've been dealing with Valve ever since our group started, then we met them in-person and now we're at the point of concluding our discussions. Our goal wasn't to steer people away from L4D2, it was to get Valve's attention and have them support original L4D. We succeeded and that's where our mission ends." "As a collective we have done more than achieve a few goals, we have paved the way for developer-community relations in the future. No matter what the press or other gamers say, we have made an indelible mark upon the future of this industry. You should all be proud, we certainly are," added Walking_Target. "The boycott has served its purpose and it is now up to you all as individuals to decide what is right for you." Despite all the heat they generated, I found the boycott's leaders to be quite reasonable when I spoke to them last month. It's something of a no-win situation for them; starting the boycott earned them the scorn of fanboys, while ending it will no doubt bring down the wrath of the haters. But as Walking_Target noted, the boycott has established a new benchmark for the community-developer relationship and with Valve having gone above and beyond the call to address its concerns, there's really little reason left for it to continue. The Left 4 Dead 2 Boycott group will be closed down once and for all at noon EST on October 21. Thanks to FightThePower for the tip.